AS you've probably heard, nearly half of all marriages now end in divorce, leaving bitter spouses and confused children in their wake. Don't let this happen to you! Whether your marriage is going through tough times or is experiencing marital bliss, or even if you're not yet married but considering it, here's some free but proven advice to help your marriage last. It's straight from God, the one who created and ordained marriage! If you've tried everything else, why not give God a chance? Follow the keys in this guide, and you can secure your home. Comment: God's rule is specific. A married couple must leave father and mother and establish their own home, even if finances require that it be a one-room apartment. Husband and wife should decide together on such policies as these. Then she should inform her relatives and he, his. They must remain firm no matter who opposes. Thousands of divorces would be avoided if this rule were carefully followed. "And above all things have fervent charity among yourselves: for charity shall cover the multitude of sins." 1 Peter 4:8, "Her children arise up, and call her blessed; her husband also, and he praiseth her." Proverbs 31:28. "There is difference also between a wife and a virgin. The unmarried woman careth for the things of the Lord, that she may be holy both in body and in spirit: but she that is married careth for the things of the world, how she may please her husband" 1 Corinthians 7:34. "Be kindly affectioned one to another with brotherly love; in honour preferring one another." Romans 12:10. Comment: Continue (or perhaps revive) the courtesies of courtship in your married life. Successful marriages do not just happen; they must be developed. Don't take each other for granted, or the monotony that results will destroy your marriage. Keep love growing by expressing love for one another or it will die, and you will drift apart. Love and happiness are not found by seeking them for yourself, but rather by giving them to others. So spend as much time as possible doing things together if you would get along well. Learn to greet each other with enthusiasm. Relax, visit, shop, sightsee, eat together. Don't overlook the little courtesies, encouragements, and affectionate acts. Surprise each other with little gifts or favors. Try to "outlove" each other. Don't take more out of marriage than you put into it. Divorce itself is not the greatest destroyer of marriage, but rather, lack of love. Given a chance, love always wins. "And said, For this cause shall a man leave father and mother, and shall cleave to his wife: and they twain shall be one flesh? Wherefore they are no more twain, but one flesh. What therefore God hath joined together, let not man put asunder." Matthew 19:5,6. Comment: Has love almost disappeared from your home? The devil (that notorious home-breaker) is responsible for this. 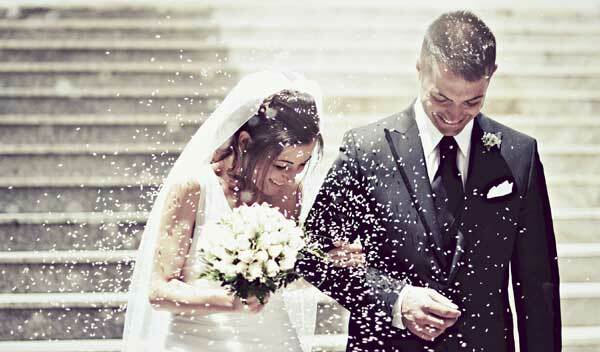 Don't forget that God Himself joined you together in marriage, and He intends for you to stay together and be happy. He will bring happiness and love into your lives if you will obey His divine rules (commandments). "With God all things are possible." Matthew 19:26. Don't despair. God, who places love in the heart of a missionary for a leprous savage, can easily give you love for each other if you will let Him. 4. Guard your thoughts--don't let your senses trap you. "For as he thinketh in his heart, so is he." Proverbs 23:7. "Thou shalt not covet thy neighbour's wife." Exodus 20:17. "Keep thy heart with all diligence; for out of it are the issues of life." Proverbs 4:23. "Finally, brethren, whatsoever things are true, whatsoever things are honest, whatsoever things are just, whatsoever things are pure, whatsoever things are lovely, whatsoever things are of good report; if there be any virtue, and if there be any praise, think on these things." Philippians 4:8. Comment: The wrong kind of thinking will destroy your marriage. The devil will trap you with thoughts like these: "Our marriage was a mistake." "She doesn't understand me." "I can't take much more of this." "We can always divorce if necessary." "I'll go home to mother." "He smiled at that woman." Stop thinking thoughts like these or your marriage is gone, because your thoughts and senses govern your actions. Avoid seeing, saying, reading, or hearing anything that (or associating with anyone who) suggests impurity or unfaithfulness. Thoughts uncontrolled are like an automobile in neutral on a hill. Anything can happen, and the result is always disaster. 5. Never retire for the night angry with each other. tenderhearted, forgiving one another, even as God for Christ's sake hath forgiven you." Ephesians 4:32. Comment: To remain angry and upset over hurts and grievances (big or little) is exceedingly dangerous. Unless quickly solved, even little problems become set in your mind as convictions and attitudes adversely affecting your whole philosophy of life. This is why God says to let anger cool before retiring at night. Be big enough to forgive and to say with sincerity, "I'm sorry." After all, no one is perfect, and you are both on the same team, so be sportsmanlike enough to honestly admit a mistake when you make it. Besides, making up is a very pleasant experience, with unusual powers to draw marriage partners closer together. God suggests it! It works! "Except the Lord build the house, they labour in vain that build it." Psalms 127:1. "In all thy ways acknowledge him, and he shall direct thy paths." Proverbs 3:6. "And the peace of God, which passeth all understanding, shall keep your hearts and minds through Christ Jesus." Philippians 4:7. Comment: This is the greatest rule. It really covers all the others. Put Christ first! The real secret of true happiness in the home is not diplomacy, strategy, and untiring effort to overcome problems, but rather, union with Christ. Hearts filled with Christ's love can never be very far apart. With Christ in the home, marriage will be successful. The gospel is the cure for all marriages that are filled with hatred, bitterness, and disappointment. It prevents thousands of divorces by miraculously restoring love and happiness. It will save your marriage, too, if you are willing. "What therefore God hath joined together, let not man put asunder." Matthew 19:6. "Whosoever shall put away his wife, except it be for fornication, and shall marry another, committeth adultery: and whoso marrieth her which is put away doth commit adultery." Matthew 19:9. "The woman which hath an husband is bound by the law to her husband so long as he liveth." Romans 7:2. Comment: The Bible is clear. The ties of marriage are meant to be indissoluble and indestructible. Divorce is permissible only in the case of adultery. But even then it is not demanded, only permitted. Forgiveness is always better than divorce, even in the case of a moral fall. Marriage is for life. God so ordained it when He performed the first wedding in Eden. Thoughts of divorce as a solution will destroy any marriage. This is one reason Jesus ruled it out. Divorce is always destructive and almost never a solution to the problem. Instead, it creates much greater problems, so it should never be considered. Torn, frustrated, unhappy, twisted lives almost inevitably follow divorce, and even success in life itself is often thwarted. God instituted marriage to guard people's purity and happiness, to provide for their social needs, and to elevate their physical, mental, and moral nature. Its vows are among the most solemn and binding obligations that human beings can assume. To lightly set them aside results in removing one's self from God's favor and blessing. "Thou shalt not commit adultery." Exodus 20:14. "The heart of her husband doth safely trust in her, so that he shall have no need of spoil. She will do him good and not evil all the days of her life." Proverbs 31:11, 12. "The Lord hath been witness between thee and the wife of thy youth, against whom thou hast dealt treacherously." Malachi 2:14. "To keep thee from the evil woman, from the flattery of the tongue of a strange woman. Lust not after her beauty in thine heart; neither let her take thee with her eyelids. For by means of a whorish woman a man is brought to a piece of bread: and the adulteress will hunt for the precious life. Can a man take fire in his bosom, and his clothes not be burned? Can one go upon hot coals, and his feet not be burned? So he that goeth in to his neighbour's wife; whosoever toucheth her shall not be innocent." Proverbs 6:24-29. Comment: Family intimacies must never be shared with others--not even with parents. It is a great sin and a tragedy to break this God-given rule. A third person to sympathize or listen to complaints is a tool of the devil to estrange the hearts of husband and wife. Solve your home problems privately. No one else (except your minister or marriage counselor) should ever be involved. Always be truthful with each other, and never keep secrets from each other. Tell no jokes at the expense of your spouse's feelings. Vigorously defend each other, and strictly exclude all intruders. And as for adultery (in spite of what some marriage counselors say), it always hurts you and everyone else involved. God, who knows our mind, body, and emotional structure (and knows what helps or hurts us) says, "Thou shalt not." And when He says, "Don't," we had better not. Those who ignore His rule will pay the supreme penalty. So if flirtations have begun, break them off at once, or shadows may settle over your life that cannot be lifted. 10. God describes love; make it your daily goal to measure up. "Charity suffereth long, and is kind; charity envieth not; charity vaunteth not itself, is not puffed up, Doth not behave itself unseemly, seeketh not her own, is not easily provoked, thinketh no evil; Rejoiceth not in iniquity, but rejoiceth in the truth; Beareth all things, believeth all things, hopeth all things, endureth all things." 1 Corinthians 13:4-7. Comment: Please reread the above Scripture passage carefully. This is God's true description of love. How do you measure up? Love is not a sentimental impulse, but a holy principle that involves every phase and action of life. With true love, your marriage cannot fail. Without it, it cannot succeed. "Husbands, love your wives, and be not bitter against them." Colossians 3:19. "It is better to dwell in the wilderness, than with a contentious and an angry woman." Proverbs 21:19. "A continual dropping in a very rainy day and a contentious woman are alike." Proverbs 27:15. "And why beholdest thou the mote that is in thy brother's eye, but considerest not the beam that is in thine own eye?" Matthew 7:3. "Charity suffereth long, and is kind; charity envieth not; charity vaunteth not itself, is not puffed up." 1 Corinthians 13:4. Comment: Stop criticizing, nagging, and faultfinding. Your husband or wife may lack much, but nagging won't help. Don't expect perfection, or bitterness will result. Overlook faults, and hunt for the good things. Don't try to reform, control, or compel your partner--you will destroy love. Only God can change people. A sense of humor, a cheerful heart, kindness, patience, and affection will banish two-thirds of your marriage problems. Try to make your spouse happy rather than good, and the good will take care of itself. The secret of a successful marriage lies not in having the right partner, but rather in being the right partner. "And every man that striveth for the mastery is temperate in all things. Now they do it to obtain a corruptible crown; but we an incorruptible." 1 Corinthians 9:25. "Doth not behave itself unseemly, seeketh not her own, is not easily provoked, thinketh no evil." 1 Corinthians 13:5. "Whether therefore ye eat, or drink, or whatsoever ye do, do all to the glory of God." 1 Corinthians 10:31. "I keep under my body, and bring it into subjection." 1 Corinthians 9:27. "For even when we were with you, this we commanded you, that if any would not work, neither should he eat." 2 Thessalonians 3:10. "Marriage is honourable in all, and the bed undefiled." Hebrews 13:4. "Let not sin therefore reign in your mortal body, that ye should obey it in the lusts thereof. Neither yield ye your members as instruments of unrighteousness unto sin." Romans 6:12,13. Comment: Overdoing will ruin your marriage. So will underdoing. Work, love, rest, exercise, play, worship, meals, and social contacts must be carefully balanced in your marriage, or something will snap. Overwork and the lack of sleep, proper food, or exercise make a person critical, intolerant, and negative. Constant overeating is a great evil that strengthens the lower nature and dulls the conscience.
" Charity suffereth long, and is kind; charity envieth not; charity vaunteth not itself, is not puffed up, Doth not behave itself unseemly, seeketh not her own, is not easily provoked, thinketh no evil; Rejoiceth not in iniquity, but rejoiceth in the truth; Beareth all things, believeth all things, hopeth all things, endureth all things." 1 Corinthians 13:4-7. "Be kindly affectioned one to another with brotherly love; in honour preferring one another." Romans 12:10. Comment: Each spouse has a God-given right to certain personal privacies without explanation. Do not tamper with each other's wallets or purses, personal mail, and other private property unless given permission. The right to privacy and quietude when preoccupied should be respected. Your husband or wife even has a right to be wrong part of the time and is entitled to an "off-day" without being given the third degree. Marriage partners do not own each other and should never try to force personality changes. Only God can make such changes, and we shall all answer personally to Him on this matter (Romans 14:12). Perfect confidence and trust in one another--no checking up on each other--is absolutely essential for happiness. Spend less time trying to "figure out" your spouse and more time trying to please her or him. This works wonders. "In like manner also, that women adorn themselves in modest apparel." 1 Timothy 2:9. "She seeketh wool, and flax, and worketh willingly with her hands." "She riseth also while it is yet night, and giveth meat to her household, and a portion to her maidens." "She looketh well to the ways of her household, and eateth not the bread of idleness." Proverbs 31:13, 15, 27. "Depart ye, depart ye, go ye out from thence, touch no unclean thing; go ye out of the midst of her; be ye clean, that bear the vessels of the LORD." Isaiah 52:11. "Let all things be done decently and in order." 1 Corinthians 14:40. "But if any provide not for his own, and specially for those of his own house, he hath denied the faith, and is worse than an infidel." 1 Timothy 5:8. "That ye be not slothful, but followers of them who through faith and patience inherit the promises." Hebrews 6:12. Comment: Laziness, disorder, dirt, and slovenliness are the devil's weapons to destroy your respect and affection for one another, and thus ruin your marriage. Neat, modest attire and clean, well-groomed bodies are essential for both husband and wife. The meals should be wholesome, attractive, and served on time. The home should be clean and orderly, because this brings peace, calmness, and satisfaction to all. A lazy, shiftless husband who does not provide for his household is a curse to his family and an insult to God. Carelessness in some of these seemingly small matters is destroying homes by the thousands. "A soft answer turneth away wrath: but grievous words stir up anger." Proverbs 15:1. "Live joyfully with the wife whom thou lovest." Ecclesiastes 9:9. "When I was a child, I spake as a child, I understood as a child, I thought as a child: but when I became a man, I put away childish things." 1 Corinthians 13:11. Comment: Force yourself to speak softly and kindly to your spouse. Silence, when one is attacked, is often the best method to cool wrath. Decisions made when angry, tired, or discouraged are unreliable anyway, so it's best to relax and let anger cool. And when you do speak, let it always be quietly and lovingly. Harsh, angry words crush your spouse's desire to please you. "Charity suffereth long, and is kind; charity envieth not; charity vaunteth not itself, is not puffed up, Doth not behave itself unseemly, seeketh not her own, is not easily provoked, thinketh no evil." 1 Corinthians 13:4,5. "very man according as he purposeth in his heart, so let him give; not grudgingly, or of necessity: for God loveth a cheerful giver. "2 Corinthians 9:7. Comment: All possessions and income in marriage should be "ours," not "yours" and "mine." Wives who don't work outside the home should receive a regular amount for groceries, clothing, and other budgeted items. It should be cheerfully provided instead of grudgingly released under protest. Wife and husband both should have small, equal sums (whenever possible) to spend as desired without giving account. A miserly husband usually angers his wife into being a spender, just as a wasteful husband makes a wife stingy. Showing confidence in your companion's managing ability will usually make him or her more businesslike. 17. Talk things over and counsel together freely. "Charity suffereth long, and is kind; charity envieth not; charity vaunteth not itself, is not puffed up, Doth not behave itself unseemly, seeketh not her own, is not easily provoked, thinketh no evil." 1 Corinthians 13:4,5. "He that refuseth instruction despiseth his own soul." Proverbs 15:32. "Seest thou a man wise in his own conceit? there is more hope of a fool than of him." Proverbs 26:12. Yes! Be quiet and mind your own business! (See 1 Thessalonians 4:11.) In fact, this rule applies to all in-laws. Many a marriage that might have been a little heaven on earth has been changed into hell by in-laws. The duty of all in-laws is to leave the newly established home strictly alone. No! Read 1 Corinthians 7:12-14 and 1 Peter 3:1, 2. God gives a specific answer. Yes! God gives a definite answer to this question in 1 Corinthians 7:4, 5. 5. My wife ran off with another man. Now repentant, she wants to return home. My pastor says I should take her back, but God forbids this, doesn't He? No. No, indeed! God permits divorce for adultery, but does not command it. Forgiveness is always better and is always in order. (See Matthew 6:14, 15.) Divorce will seriously mar your life and the lives of your children. Give her another chance! The golden rule (Matthew 7:12) applies here. If you and your wife will turn your lives over to Christ, He will make your marriage supremely happy. It is not too late. Be very careful of your conduct. God says, "Abstain from all appearance of evil." 1 Thessalonians 5:22. Perhaps your conduct around men--a suggestive smile, immodest clothing, off-color jokes, or a "too relaxed" and comfortable attitude--encourages their advances. There is something about Christian reserve and dignity that keeps a man in his place. Christ said, "Let your light so shine before men, that they may see your good works, and glorify your Father which is in heaven." Matthew 5:16. When Christ really shines from your life, you will have little trouble with evil men and their advances. Long ago Christ gave a pointed and comforting answer to one who had fallen into immorality but was repentant. He said, "Go, and sin no more." John 8:11. His counsel still applies today. Certainly. Sometimes the "innocent party," by lovelessness, inattentiveness, self-righteousness, unkindness, selfishness, nagging, and downright coldness, can encourage evil thoughts and actions in his or her spouse. Sometimes the "innocent party" may be equally as guilty before God as the "guilty" one. God looks upon our motives and judges accordingly. "For the Lord seeth not as man seeth; for man looketh on the outward appearance, but the Lord looketh on the heart." 1 Samuel 16:7. 9. Does God expect me to live with a physically abusive spouse? Physical abuse can be life threatening and is a serious problem that demands immediate attention. The spouse and family members who have been physically abused must find a safe environment in which to live. Both husband and wife need to seek professional help through a qualified Christian marriage counselor.